Now a Minnesota transplant, Jerome Baker was born and bred in Chicago. He first destroyed dancefloors not in the DJ booth, but actually ON the dancefloors, slamming in some of Chicago's infamous "pits". While he loved DJ's like Ron Hardy and Andre Hatchett, he found himself drawn to DJ's like Armando, Lil' Louis and DJ Rush because they had a harder edge. 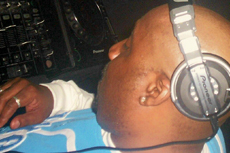 He sites Lil' Louis' "Blackout Phase II Remix" as the song that sealed the deal on him being a trackhead. He says, "the Blackout Remix to me, is the best track ever made. Period. No track before or since spoke to me the way Phase II did". Jerome Baker's early music reflected that raw, relentless aggression of the "pits". In the late 90's under the monikers DJ Boris, Lord Damian, and Dorian Baker, Jerome Released EP's on labels like Relief Records, Contact, Creation Rebel and Farris Wheel. 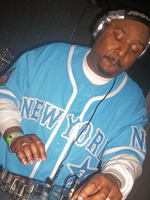 With his periodic releases, from hard house bangers like "Apocolypse" on Relief Records, to down beat thumpers like "Bass Punishers" on Creation Rebel, and Disco House groovers like "Ain't No" on Farris Wheel, along with DJ sets that some say rivaled the headliners on the bill, Jerome built a strong underground buzz in the midwest US yet he seemed content to travel below the radar of the mainstream. Jerome stepped away from the scene in 2000 and started a family, but the fire still burned inside and it wouldn't be long before it erupted. 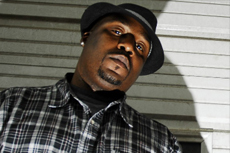 Jerome burst back onto the scene in late 2006 armed with a musical style all his own he calls "Relentless Muzik". His dancefloor destroying debut EP, "Relentless Muzik Vol 1", triumphantly announced not only his return to music but also his return to Chicago powerhouse Relief Records. "Relentless Muzik" was played, charted and supported by some of Techno's most respected DJ's including Carl Cox, Green Velvet, DJ Bone, Cari Lekebusch and Ben Sims to name a few. 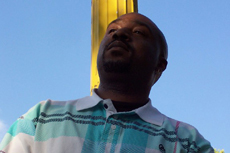 Going into 2007, Jerome hit the masses again with "Relentless Muzik Vol 2: Cut From A Different Cloth", which featured the massive party banger, "Bout To Party". This track tore up dancefloors all year and was featured on Techno heavyweight Dan Curtins mix Cd "Mindin Business" part 2. Then he smashed the clubs and raves again with "The Omega Chronicles" on Mixtape Records. "Omega" featured the ominous "Bang Em" and the house-techno hybrid "Take Control", both of which were played and charted by the one and only Dave Clarke. Also aligned with one of his best friends and music partner James Hammer, the two brought the heat on Random Access under the name Bangers & Nash, with the standout tracks "The Bohemoth" and "After Chicago Remix", which was played and charted by Dave Clarke as well. Then faced off for fun with the down and dirty EP, Jerome Baker vs James Hammer: The Path of Least Resistance on Reldz. Jerome Baker has released some of the most energetic, genre melding techno to be released in a long time and he has firmly cemented himself in the upper echelon of new artists breaking onto the scene and is doing his part in aiding the world's best DJ's to take the dancefloors to new heights. Be on the lookout as he will soon be coming to a city, state, country near you!